Our company specializes in offering reliable and qualitative gardening services, thanks to which you can have your garden refreshed in a perfect way. If you do not have enough time to maintain your garden in an excellent condition, you can leave everything into the hands of our experienced gardeners who can provide a wide range of gardening procedures. Our working schedules are perfect and include the weekends, so do not hesitate to contact us in Hampstead NW3 and to book our excellent gardening services at a time, suitable for you. Our equipment is of a first class quality and we assure you that we will use the most modern approaches to restore the nice look of your garden. We assure you that our gardening services are done up to the highest standards because we count on experienced and hard working gardeners. They will offer you perfection in each detail and they will certainly restore the perfect look of your lovely garden. We are supplied with modern machines and toxic free equipment that help us to deal with each task in an ideal way. Book our gardening services in Hampstead NW3 during the week or at the weekends and forget about the poor look of your garden. We will send our gardeners as soon as possible and they will discuss with you all the preferences that you have. We expect your phone calls 7 days per week and we will be happy to organize consultation with our gardening specialists. They will help you to choose the best design for your garden and they will also give you valuable advice on its maintenance. 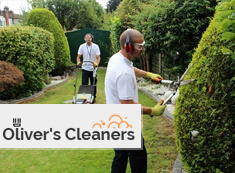 Book our lawn mowing and hedge trimming in NW3 Hampstead and we will make your garden more modern and welcoming. As for the prices, we assure you that they are reasonable and fixed and that we have prepared special offers for our revered customers. To stay additionally informed, use our customer support centres.